Share the post "Mouth-Watering Fresh Fruit Recipes"
The summertime is the prime time for loads of yummy, juicy fruit! Take advantage of the delectable offerings at your local grocery store, farmers market, or nearby orchard and get ready to use this produce in dishes everyone will love! These fresh fruit recipes are sure to delight and excite, so take a look! One of our favorite recipes using fresh fruit includes a thirst-quenching salad. The lime and honey add a nice zing to this mixed bowl of satisfying summer produce! 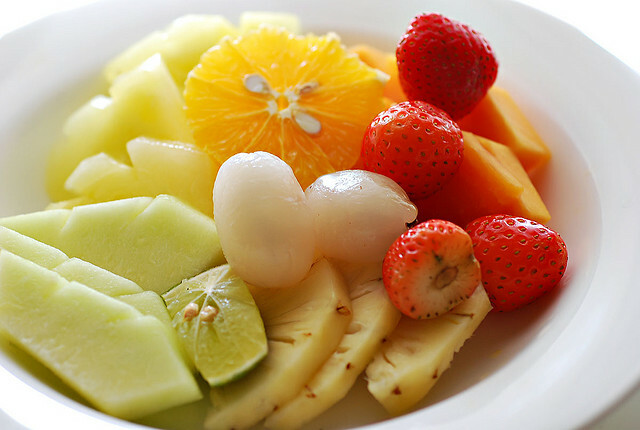 In a medium-sized bowl, mix together all the fruit. Gently mix in the lime zest and poppy seeds. Add the honey and stir the salad so the honey covers all the fruit. FYI: This recipe is best served when chilled, or else the berries may color the rest of the fruit red. Although it does not change the taste, it can be less eye-pleasing! Nectarines taste heavenly in this dessert, but experiment with other stone fruits in your shopping list as well! That is the beauty of fresh fruit recipes; they are extremely versatile! Fire up the grill to medium heat. Cover grill rack with oil. 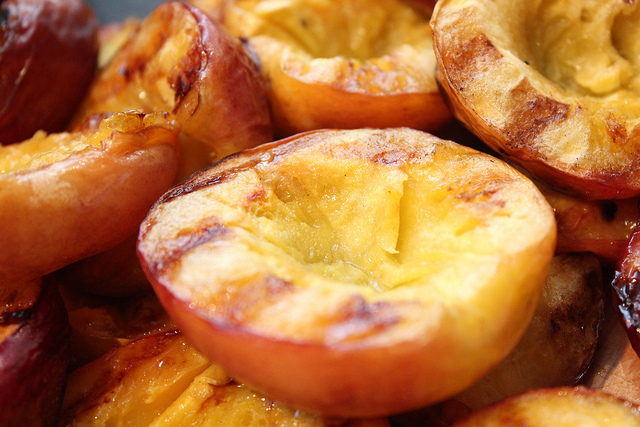 Baste nectarines with honey. Grill fruit, rotating them occasionally until you see grill marks, about 4-5 minutes. Fruit should be a bit soft. Place two nectarine halves in a small bowl and top with cool vanilla ice cream. Serve immediately. There is nothing quite like a fresh fruit punch recipe to sip while you bask in the sun. This one is easy and will become your summer staple! Take pineapple and cut two slices, then wedges. Set aside. Peel remainder of pineapple and quarter, removing the core. Chop, saving one cup of the cubes. Blend or juice the rest. Add orange juice to the blended pineapple in large pitcher. Mix in the chopped fruit, remaining cup of pineapple cubes, and mint leaves. Mix in lemonade and ice as desired. Serve in glasses garnished with reserved pineapple wedges.